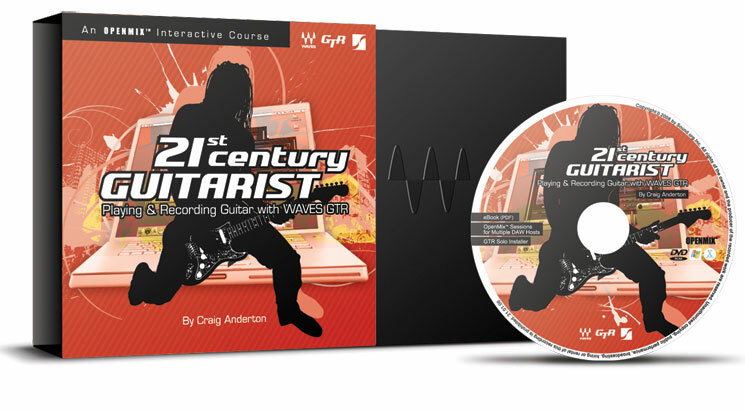 In 21st Century Guitarist, internationally-recognized music and technology expert Craig Anderton shows you just how easy it is to plug your guitar into your computer and unleash the power of Waves GTR. Anderton guides you through GTR’s huge selection of virtual amps, cabs, and effects, and shows you how to fire up the world’s hottest gear—in the box! 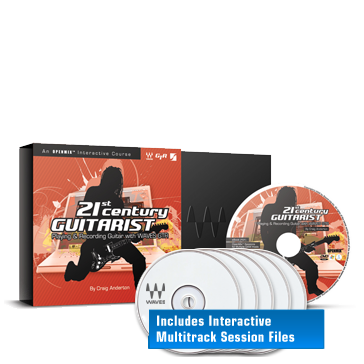 If you play guitar and want to turn your computer into a processing powerhouse, there has never been a better time—and 21st Century Guitarist will show you how. Musician / author Craig Anderton is an internationally-recognized authority on music and technology: He has played on, produced, or mastered over 20 major label recordings, as well as written 25 books on musical electronics. Known for his ability to de-mystify complex technical topics, he has lectured on technology and the arts in 10 countries, 37 U.S. states, and three languages. Doubling on guitar and keyboards, Craig did extensive pop music session work in New York in the 1970s, and produced four albums by classical guitarist Linda Cohen. He has also mastered/recorded CDs by Argentinian classical guitarist Nestor Ausqui, harpsichordist Kathleen McIntosh, and various rock groups. Craig is currently Editor-in-Chief of www.harmony-central.com, as well as Executive Editor of EQ magazine. He maintains an active musical career doing mixing, mastering, video soundtracks, and collaborating with Public Enemy’s Brian Hardgroove in the band EV2. Also, several of his recordings have appeared on dance music compilation CDs in Europe, where he occasionally guests with artists like Air Liquide and Dr. Walker. For more information, check out www.craiganderton.com, or his Sound, Studio, and Stage forum on Harmony Central.